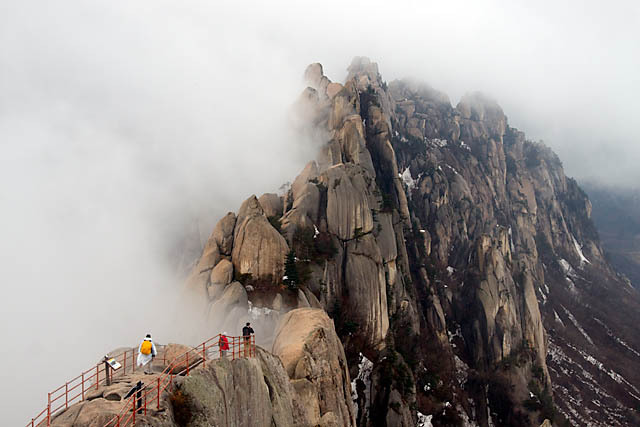 Seoraksan National Park is one of South Korea's most well-known and popular tourist attractions for nature enthusiasts. Hugely popular in autumn because of its fall foliage within the park, it is however beautiful in all seasons. 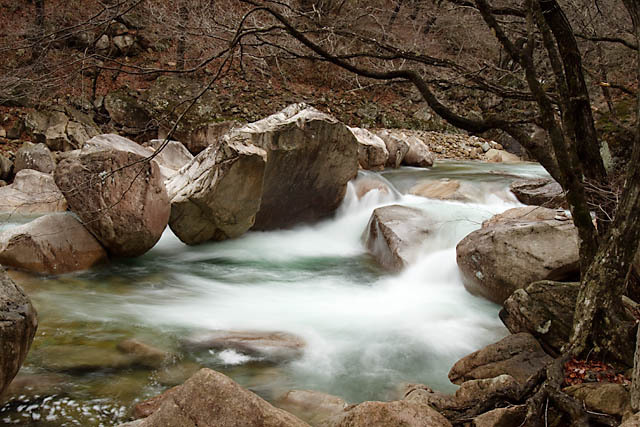 Mountains, forests, stone formations, streams and waterfalls - they are all featured inside the park. 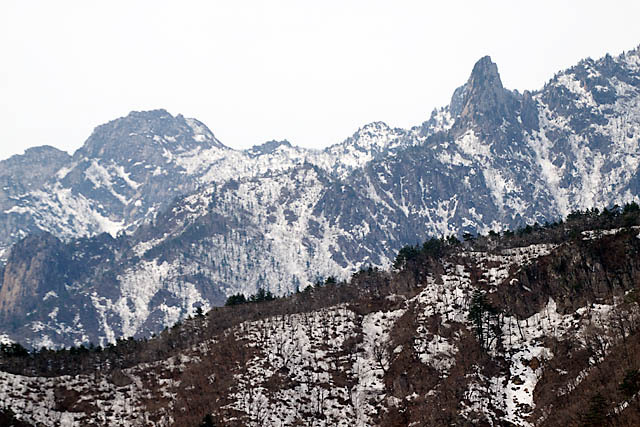 As with alot of scenic mountain parks in Japan and Korea, there is also a cablecar ropeway to one of the peaks. But the best way to enjoy the park is of course, the numerous hiking trails there! From easy 2-3 hour trails to multi-day trips, there should be one suitable for you. I went on the Ulsanbawi Rock trail which took 4+hours return, and enjoyed it, although I would have prefered better weather when I was there :p. Nevertheless, the misty sceneries I had when I was there does add to the overall experience. Mountain scenery on your hike! It would be highly recommended to stay a few days to fully enjoy the park, instead of taking a touristy day-trip from Seoul or something. Those day-trippers could only afford a photo session with a giant Buddha statue and quick visits to the temples inside the park - hardly worth the while. 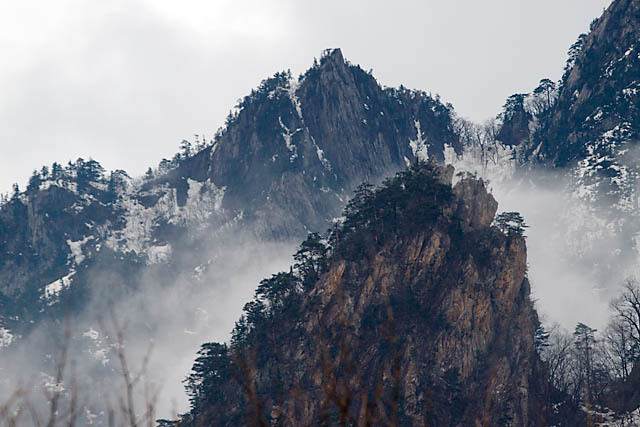 One could easily get a bus from Seoul to Sokcho, the city with easiest access to Seoraksan National Park. Just outside the bus terminal in Sokcho, there are public buses to the National Park (bus no. 7), as well as Seorak-dong, the village just outside the park. There are accomodation options both in Sokcho, as well as Seorak-dong. But there is a hostel in Seorak-dong! For photography enthusiasts, who would want convenient access for night photography or early morning photography, there is also a hotel right inside the park. The Seorak Tourist Hotel would also provide a special pass for you to re-enter the park, which is great for multi-day stays. Otherwise, for visitors who visit the park on different days, they would have to purchase separate park entry tickets. There is only one restaurant at the hotel though, so you may want to purchase all your necessary stuff in town before going in. 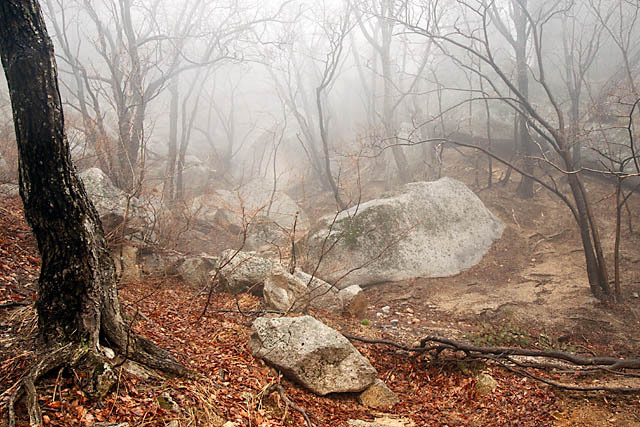 If you have time for your Korea trip, include Seoraksan into your itinerary!